German Video of the Week: Happy Halloween with Nosferatu! Halloween isn’t really widely celebrated in Germany, but it has been gaining some ground over the past few years. When I first moved here, it wasn’t really a thing outside of a few expat circles, but I’ve seen more and more decorations go up in shops and restaurants, costumes for sale, and even posters for costume parties. This year, my local Lidl even had Halloween candy for sale. I’m not sure if it’s a touch of Americanization or spillovers from the international community living here, but I kind of like it. Sadly, there will be no costume parties for me this year. I have a bad cold, so I’m spending my day watching scary movies and drinking ginger and garlic tea. Anyway, because it’s Halloween, I thought I’d post one of the most famous German movies of all time, “Nosferatu.” F.W. Murnau’s 1922 silent film is pretty much “Dracula,” but the studio couldn’t get the rights to “Dracula” at the time. See, in 1922, Bram Stoker’s novel was just 25 years old, so it was still under copyright. Stoker’s widow, who managed his estate, didn’t want to give Prana Film the rights to the original book, so the company just changed the names and a few plot details such as the setting and time period. Although that might sound like a recipe for a terrible, cheap rip off, “Nosferatu” is a fantastic German expressionist classic. Watch it for the amazing cinematography, creepy costumes, and dramatic silent movie acting. *Note: this version uses the “Dracula” character names, but the original version of the films changed them. So, Dracula should technically be Orlok, Jonathan Harker should be Thomas Hutter, Mina should be Ellen, and so on. I prefer the original, but I also wanted to post a video from a credible channel. 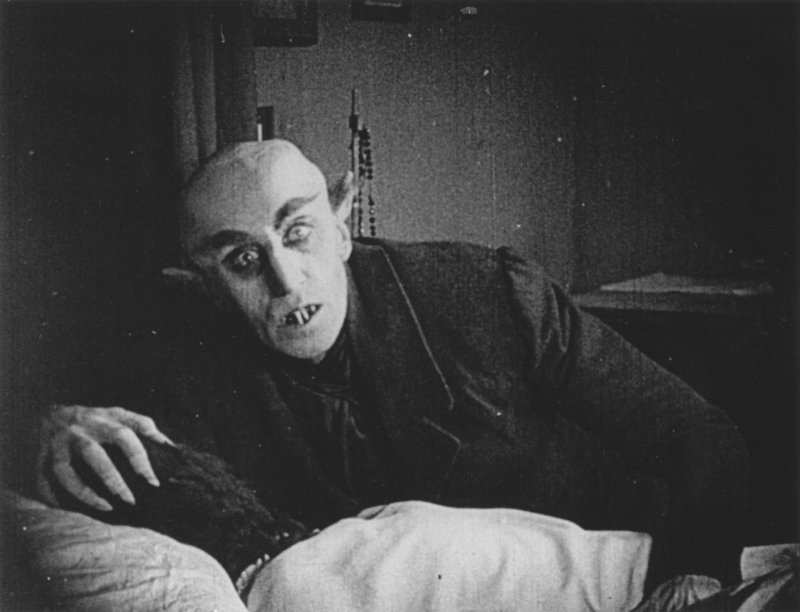 “Nosferatu” is public domain in most countries, but is still under copyright in Germany and most of Europe. Viewster is a legal video streaming service based in Europe, so I’d assume they had permission to upload this movie.